Reliance Precision Limited is delighted to announce its partnership with Brooks Life Science Systems (Brooks), the leading worldwide provider of innovative and comprehensive sample lifecycle management solutions for the life sciences industry. This new relationship has resulted in the successful production, launch and installation of the FluidX™ IntelliXcap™ automated capper/decapper system. The new system is currently being used for automated biobanking and cell processing applications. Reliance partnered with Brooks to contribute design, manufacturing and assembly expertise which helped to deliver the FluidX™ IntelliXcap™, a next generation automated, universal capper/decapper. The resulting 96-format system is able to cap and decap a complete rack of tubes in just 20 seconds and incorporates a proprietary self-release cartridge. The unique interchangeable cartridge allows tube type switching in less than 2 minutes, providing the flexibility to work with different sample tube types or brands on one system. Brooks approached Reliance in 2016 with an initial concept design for the FluidX™ IntelliXcap™. Reliance contributed design-for-manufacture and industrial production engineering experience, developing and optimising the design to make manufacturing and assembly of the product more streamlined and cost-efficient. 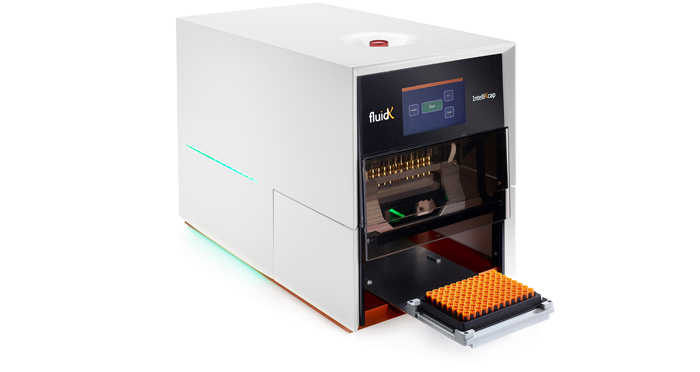 The final version of the FluidX™ IntelliXcap™ system was delivered on time by Reliance and was launched in 2017 at the Society for Laboratory Automation and Screening (SLAS) meeting, the world’s premier laboratory automation show. The system was very well received there and 12 units have since been installed at a top ten pharmaceutical company, where it is being used to simplify their workflow and significantly lower operational and quality control costs in biobanking applications. Read more information about our life science capabilities.